Tomorrow we're heading to Southern California for a wedding so I whipped up a quick card for the happy couple. And by 'quick' I really mean it took me about 2 hours to finish. Silly because it's a really simple card design, but I had to pick out the wording and paper, cut them all then put them all together. Then it looked too plain, so I had to add ribbon, and finding that perfect piece of ribbon, well, that probably took 10 minutes just for that. LOL! I made these 3 cards at stamp club this month. Debbie had designed all of them. All we had to do was follow her step by step instructions. 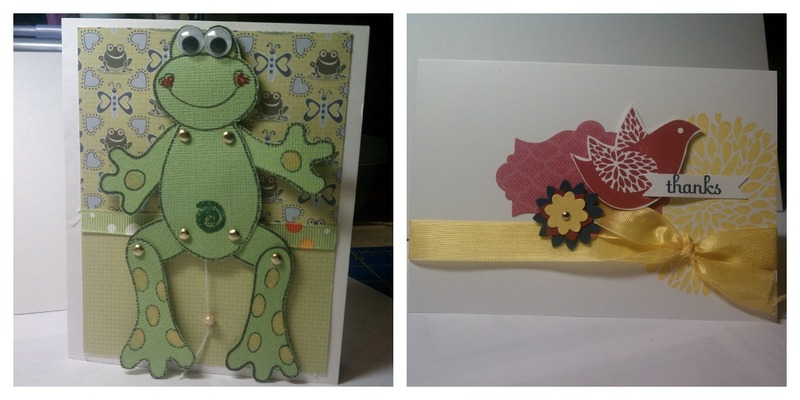 Isn't that froggie card cute? I received that from a card exchange. If you pull on the string, his arms and legs move up and down. The simple "thanks" card was designed by Elizabeth and I made it when I went to her card making get together earlier this month. 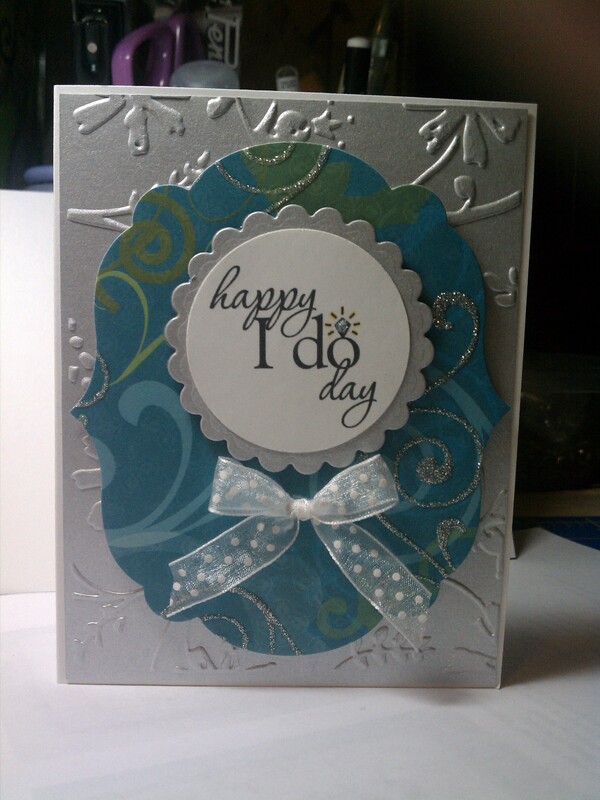 I love the colours you have chosen for the wedding card and the ribbon is a perfect match. The Japanese stamp cards are my favourite - the birds especially. I bet every child would be delighted to receive the frog puppet card. You are a card making creative genius! I love that froggie card! have a good time at the wedding. Weddings are always fun, aren't they? And you get to dress up in your finery and enjoy someone else's happiness. Very, very cool cards, Mad! Wow. I'm really impressed!